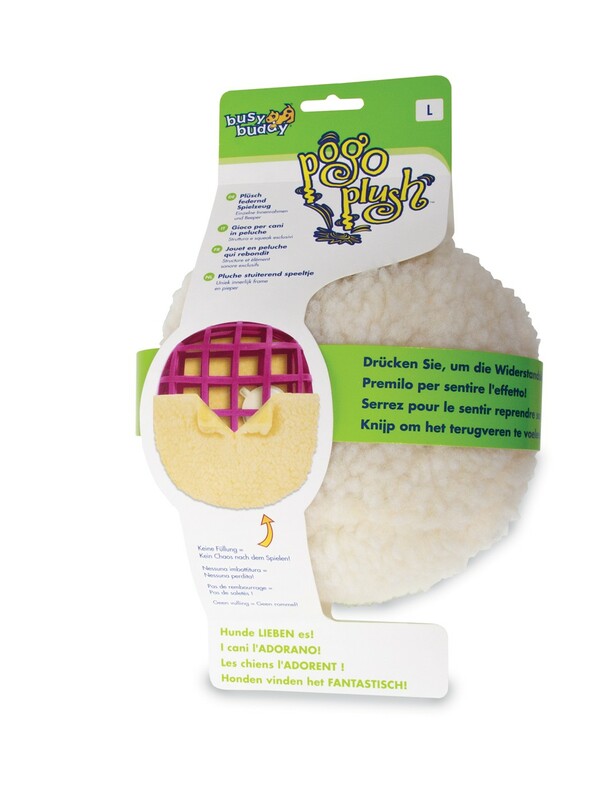 The Busy Buddy Pogo Plush dog toy is stuffing free so there's no mess if your dog likes to destroy plush toys. Pogo Plush toys are built with inner rubber scaffolding and free-floating squeakers that will give your dog hours of fun. The design provides a unique bounce-back action that dogs prefer over traditional stuffed plush toys.